I am Sonia Sotoymayor by Brad Meltzer, illustrated by Christopher Eliopoulous (2018) is part of the “Ordinary People Change the World” series that highlights incredible individuals in a comic book biography format for kid readers. This picture book highlights Supreme Court Justice, Sonia Sotomayor. It covers her childhood in New York City, her Puerto Rican family, and the injustices she could already see around her. First, she wanted to be a detective like Nancy Drew, but felt like her diabetes would hinder her. Then she wanted to be a judge like Perry Mason. She was valedictorian of her high school class and attended Princeton, a place where she took refuge in books. In 2009, after a career as a prosecutor and a federal judge in New York, she was nominated by Barack Obama and sworn into the Supreme Court, becoming the first Latina Supreme Court Justice. 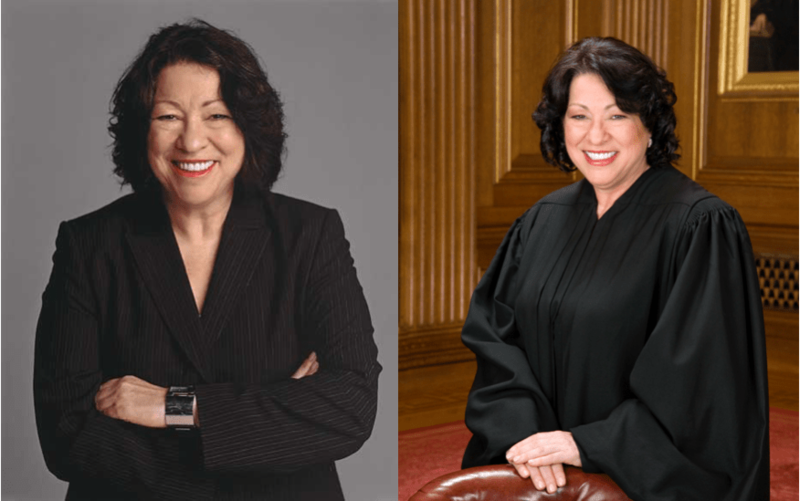 Because Sotomayor is such an inspiration, I thought I’d share with you some inspiring photos and quotes to celebrate her as a force for justice. Sonia Sotomayor has also written a book for kids, in her own words: Turning Pages by Sonia Sotomayor, illustrated by Lulu Delacre (2018). I’ll leave you with quotes from that one about books and reading, the through line of her life story. ← Sean Qualls’s picture book life!